Chelsea will play Bournemouth for the boxing day 2016 fixture. It is the league leaders hosting the 10th placed team on the 18th match day of the Premier League. Chelsea is currently sitting on top of the table with 43 points from 17 matches they have played, six points above Liverpool. On the other hand, we have Bournemouth who are 10th in the table with 21 points from 17 games as well, two points below Everton and above on goal difference from Stoke City. Chelsea is currently on an 11 match winning run, the first time since September 2009 and sit on top with six points clear. They have won 14 games, drew one and lost two, scoring 35 goals and conceded 11 goals in total. Diego Costa is the top scorer in league with 13 goals to his name and Eden Hazard has eight goals as well. They have kept nine clean sheets out of the last 11 matches in the league, conceding just two goals. Diego Costa will be suspended for the game as he has got a two match ban and without him, Chelsea has won only one out of the last 11 played. Their form in the league has been extraordinary as they have won their last 11 games in the league. Bournemouth has won six games from the 17 games they have played, drawing three and losing eight. They have scored a total of 23 goals and conceded 28 goals in the league so far. Their away record has been very poor as they have just one of their last ten league games. They have hit the woodwork 13 times this season, highest by any team in the league. Their form in the league is average as they have won two games and lost three including a win against Liverpool by 4-3. Courtois, Cahill, Azpilicueta, Luiz, Alonso, Matic, Moses, Kante, Willian, Hazard, Costa. Boruc, Cook, Francis, Ake, Daniels, King, Pugh, Wilshere, Arter, Smith, Wilson. 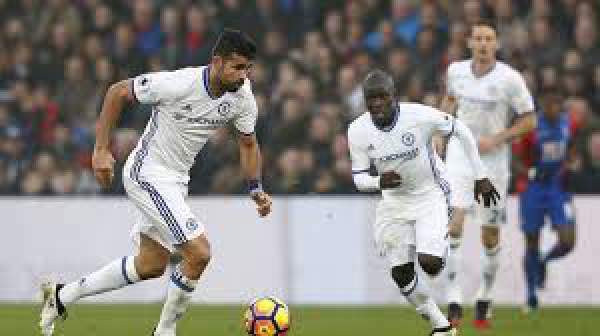 Chelsea has been in excellent form and beating them at home would be tough for Bournemouth.